Lensball photography is the use of a clear glass lensball as a subject in an image. The glass ball creates a distorted effect and makes for a very creative photo when used properly. As creative photographers, we are always looking for new ways to incorporate objects to enhance our photos and feeds. I’ve discussed fairy lights photography and its upward trend in photo feeds today, but another creative object that has been heavily incorporated into photos is the glass lensball. With lensball photography, you can use a 60mm or 80mm glass ball to infract light from the lensball to capture a cool image. 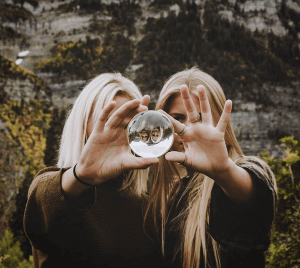 You may or may not have seen lensball photography around your social feeds, but I’ve noticed more and more of these lensballs being incorporated into photos as of late. 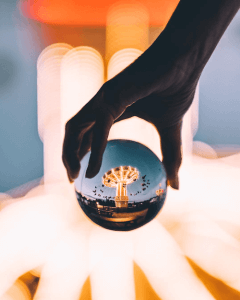 I just went out and bought a couple lensballs to try it out and here is my full guide to purchasing the best glass balls for photography and my guide to using the lensballs to create some stunning images for your personal feeds! Where is the Best Place to Buy a Lensball? The best place to buy your lens ball would be from the brand Lensball themselves. They specialize in making the highest quality glass photography balls and give you the proper packaging to ensure that your lens ball is not damaged before it even arrives to your home. Now with quality comes a bit more in price, so you really do get what you pay. Don’t forget to tag them as well, they feature some of the best shots! If you’re looking for the cheapest place to buy a lens ball, then there are some cheaper alternatives from Amazon as well. Although, be careful! From what I’ve seen and heard, some users receive lens balls that are damaged because of unprofessional packaging. But, I’ve also seen some users who have received the glass ball without any issues. If you go this route, make sure to double check the quality of the glass before using. The cheaper alternative lens balls sold on Amazon have two sizes as well, the 60mm and 80mm size glass balls. The 60mm third party lensball is available on Amazon and same with the 80mm Lensball. If you have Amazon Prime, you will also get free two-day shipping as well. What Size Lensball Should I Buy for Photography? In my opinion, the larger size glass ball is better for photography because it helps show more image through the infraction when you capture it with your camera. The small 60mm lensball is nice for travel, but if you don’t plan on doing so much travel with flights then I would go with the 80mm glass ball. For the price though, I have both which I use for different situations. The lensball is easy to use when it comes to photos. But, having the right camera settings are important to achieve the perfect image. Two settings I would recommend when taking photos with the lensball. I use these settings because I like when the glass ball is in focus and the image within the glass ball is in focus, but I want the background to be blurred out. When I’m taking photos with the glass ball, it’s cool to see the image clearly through the ball and having a nice bokeh in the background helps create this image. I keep the shutter speed high because I find my hands to move quite a bit while holding the ball and taking the photo. Having a higher shutter speed eliminates any motion blurriness that might be caused because of my shaking. Now these settings will vary based on what camera and lens you are using. But more importantly, the conditions and the lighting you’re shooting in will also play a major part in your camera settings. The best thing to do is to perform some trial and error and mess around with your camera settings until you get the right shot. 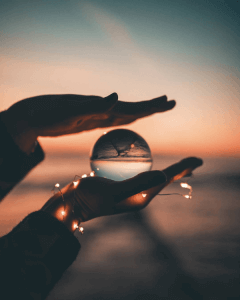 I did some research and found 7 interesting ways that some photographers are using the glass ball for photography, and I wanted to share them with you all! 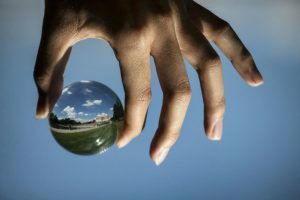 Here are 7 creative lensball photography ideas. Reflection inception? The glass ball already reflects the image through the camera, but water then reflects the image in the lens ball. Confused yet? Me too, but it works.. Here are some visuals to show you how it’s done. This is as classic and as simple as it gets. Lift up the glass ball with your hand or you can get someone else to do it for you. Set a manual focus on the glass ball and adjust your camera distance from the lens ball to get the right shot. Think of the glass ball as a second lens and make sure you capture everything that you want in the lens ball. It essentially acts as a wide angle lens. As I mentioned before, the lensball acts as a wide angle lens so you can capture some amazing architecture. 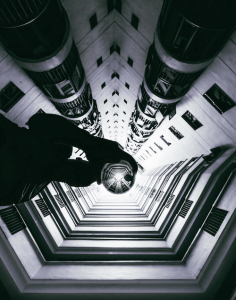 If the architecture or shot is up high, you can take a shot from below the glass ball to get a cool wide angle shot upwards. The lensball should capture most of the architecture or landscape since it’s so wide. Circular structures also look very cool with the glass ball because of the way that it distorts the image. Makes for a pretty cool photo. 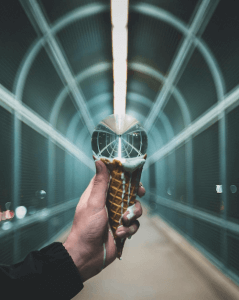 What’s more creative than adding unique items to your photos? Adding more unique items to your photos. We’ve discussed this quite a bit before, but you can use fairy lights to light up your lensball to get a pretty amazing shot. 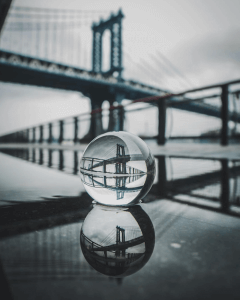 What about using models for your glass ball photos? You can capture the image of someone through the lens ball and it would make for a very creative shot. Adjust the distance of the glass ball away from the model’s face and adjust your focus accordingly. Remember, you want to frame the subject within the glass ball first before moving onto framing the shot through your camera. Photoshop offers endless creative options and if you’re familiar with using it, this could be the right match for you. 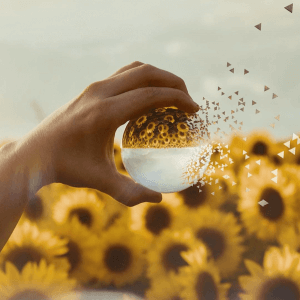 Whether it’s making the colors stand out, creating a shatter effect on the glass ball, or even having the glass ball levitate – photoshop will allow you to create some crazy lensball photography ideas. Once you have the ice cream cone. 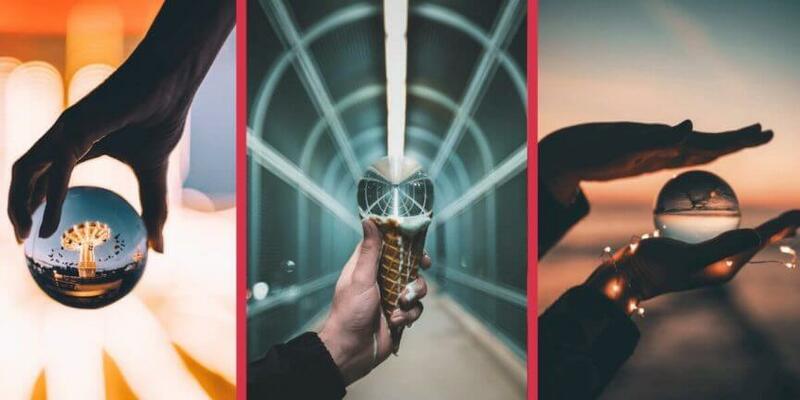 Place the glass ball on the plain ice cream cone and take the perfect Instagram shot. Watch your likes fly up and your friends be amazed with your photography skills. 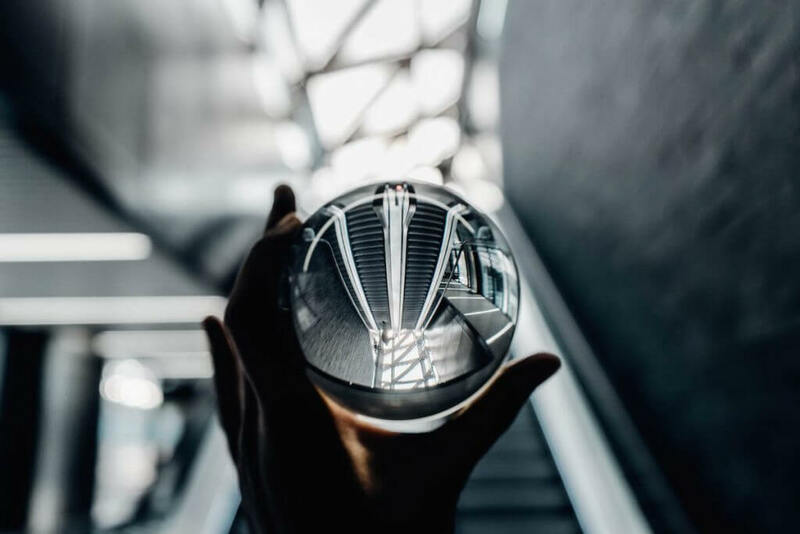 Using a glass ball in your photoshoots can add a new creative element that can really make your photos stand out. It can turn a simple landscape into a unique never seen before landscape. Typical camera equipment and accessories are expensive, but the Lensball from Amazon is very affordable if you’re looking for a cheap way to add creativity to your shots! If you’re looking for more ways to improve your photos, check out our post about 7 neat creative photography ideas! Have anymore ideas for creative lensball photography shots? 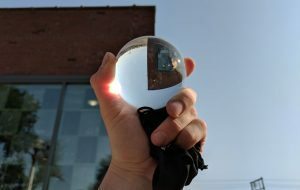 Have any cool glass ball photography photos that you took? Comment your Instagram feeds down below and I’ll check them out!